Wilson also said the Sunshine Bridge will reopen in January and possibly sooner. Wilson made his comments during the annual meeting of the American Council of Engineering Companies of Louisiana. His views mirrored those he made a year ago, nearly to the day, after a bid by Gov. John Bel Edwards’ administration to increase the state gas tax by 17 cents per gallon and raise another $500 million per year died in the Legislature. No such push is expected again until at least 2021 because of legislative rules and political concerns, including 2019 being an election year. 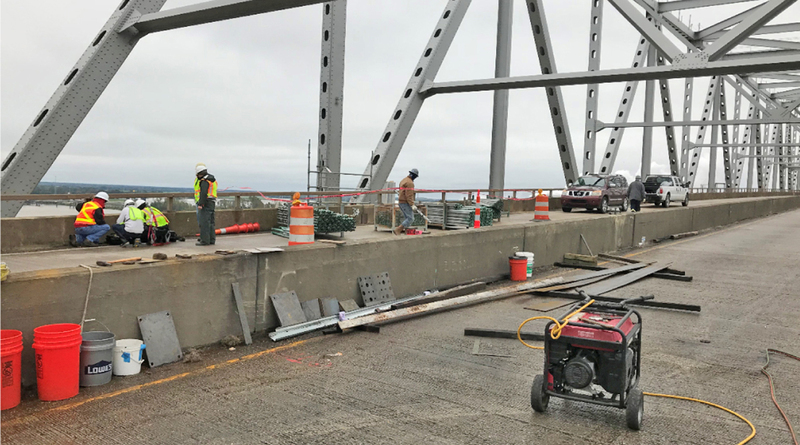 The state is launching a $350 million plan to widen Interstate 10 from the “new” Mississippi River bridge to or near the I-10/12 split in Baton Rouge. However, that work will be financed with federal bonds as will a second project to upgrade I-10 near Louis Armstrong New Orleans International Airport. Wilson said the state Department of Transportation and Development plans to spend $937 million next year, including $788 million on road and bridge preservation. Even with that, he said, today’s $14 billion backlog is expected to grow by several hundred million dollars. “We are not spending enough to stop the deterioration,” he said. The backlog rose last year even though the state spent $1.2 billion for transportation. Motorists spend 38.4 cents per gallon, including 20 cents in state taxes. Wilson said 33 states have boosted transportation spending since 2012. The last change here was in 1990. “Our roads are in poor condition,” he told the group. Wilson said 8.6% of state roads are labeled deficient — 12th highest in the nation — and 14% of bridges carry that label — 14th highest. “Those are upside-down statistics if you ask me,” he said. Wilson also said the state will have problems coming up with enough dollars in 2019 to qualify for federal matching money. The 54-year-old Sunshine Bridge has been out of service since Oct. 12, when it was damaged by a crane barge. The closure has sparked huge problems for families and businesses who rely on the structure, which typically handles about 25,000 cars and trucks daily. Wilson’s comment that the bridge will reopen in January or sooner sparked attention. But he said after his address that it is too soon to raise hopes of an earlier opening.